Whitfield & Eddy litigator Luke Craven attended the International Association of Defense Counsel (IADC) 44th Annual Trial Academy July 30 - August 5, 2016 at the Stanford Law School in Palo Alto, California. The IADC Trial Academy is widely regarded as the premier trial skills program for litigators. The faculty includes civil defense lawyers and topics focus on defense technique, tactics and execution. Sessions included: Direct and Cross Examination of Lay Witnesses and Refreshing; Direct and Cross Examination of an Expert Witness (Medical, Engineering, and Economics/Accounting, Toxicology); Ethics and more. 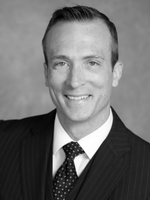 Craven is a member attorney and part of the Whitfield & Eddy Law litigation practice group. To date, he has litigated nine jury trials. Learn more about the IADC Trial Academy at their website.